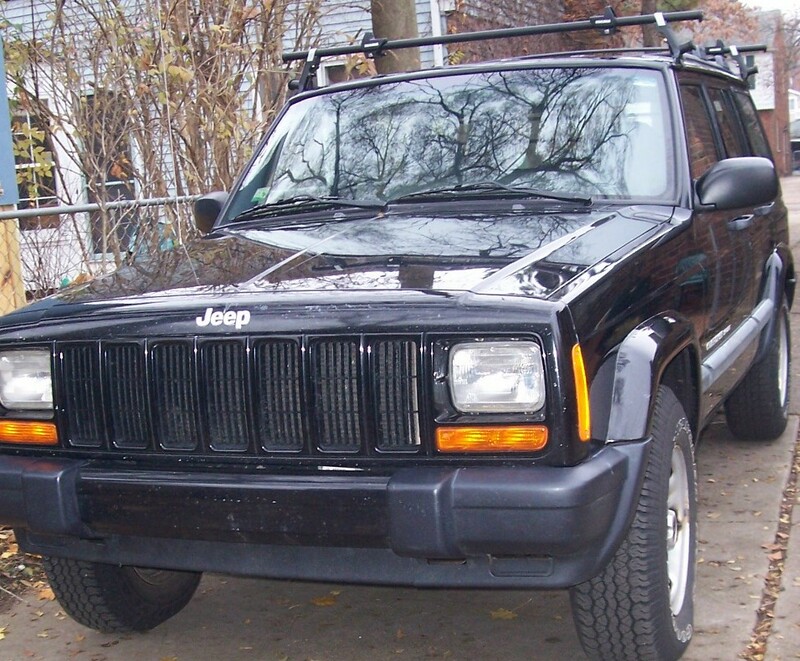 My relationship with my 2001 Jeep Cherokee lasted longer than a lot of marriages, about 190,000 miles of bumpy road - which some would equate to a rocky marriage. But in my case, I wasn't looking for a divorce, it was forced. 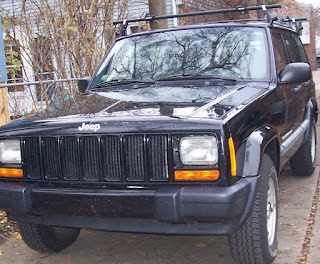 The old Jeep presented me with a bill for the misdeeds I'd done her over the last dozen years that added up to about $3,000, which prompted me to say goodbye. We've been through a lot. When I first climbed into it, I could claim to be middle age. These days I get free coffee at McDonalds and only have to pay half price for a fishing license. The Cherokee has been replaced by a new, gray Jeep Liberty and smells brand new. Some like that; but not me. I miss the smell of the old one, the combination of spilled bourbon, river water, sweat, mold, dirt, sand and spilled coffee. Too bad I couldn't bottle it. I spent an hour or so cleaning it up for the trade-in, mostly pulling out flies that had become embedded in the carpeting. I couldn't face giving it a true cleaning. That would have meant an array of chemical products which I never used on it. When I first bought it, I made some feeble attempts to make it acceptable to suburban society, but that soon faded away because it was my vehicle, not a family van to take kids to soccer practice, it was mine and mine alone. I'd never had a car that was truly mine since my 1968 Mustang, which was abused in the way only a 20 year old kid can manage. When we have kids and social responsibilities, we tend to buy vehicles for others, to cart around kids, get groceries, and drive people to medical appointments. There were also teenage sons borrowing the car. The Jeep was all mine and had no social responsibilities. It was often caked in mud from fishing or hunting trips, and my wife pretty much refused to ride in it. Later on, it developed creaks and groans brought by driving back roads, and my sons took to affectionately calling it "the rattle trap." One salesman I worked with pretty much told me it didn't belong in the office parking lot. Since I hate suburban sensibilities, I'd leave it mud splattered for as long as possible. I went down a lot of roads with the old Jeep, some of which I probably shouldn't have, especially after a night at a northern Michigan tavern, but I don't regret any of the adventures I had with it. I also wrote three travel books out of it, one about Detroit, so the Jeep has been on some of the wild back streets of the city. And in all that time, I never had to call a tow truck. It's been a good marriage, and I'm looking forward to getting the new Jeep dirty, and acquiring new bourbon, river and fish smells on the inside.